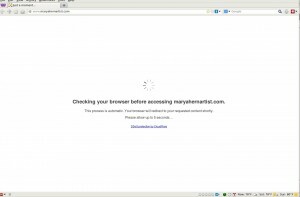 At this point Mary’s web server had been down for over a week. I knew that we had a DDOS attack of some sort but I didn’t know what to do. After looking at this post in the InterServer Forums I got some ideas. 1) You can detect incoming bad guys and null route them. This means that their IP is blocked from future accesses to your server. This would be good if the Attacks were not distributed. I.E. they were coming from a few hosts. However, I tried to null route using a shell script and got to over 700 bad Ips with no end in site. And eventually the system locked up. 2) You can a more efficient server. Quags the Admin recommended using nginx and a more efficient firewall. I configured and ran nginx but this didn’t work for me. I ran a short survey on Facebook to see if this 5 second delay was a show stopper: Yes it seemed that for some it indeed was a show stopper. 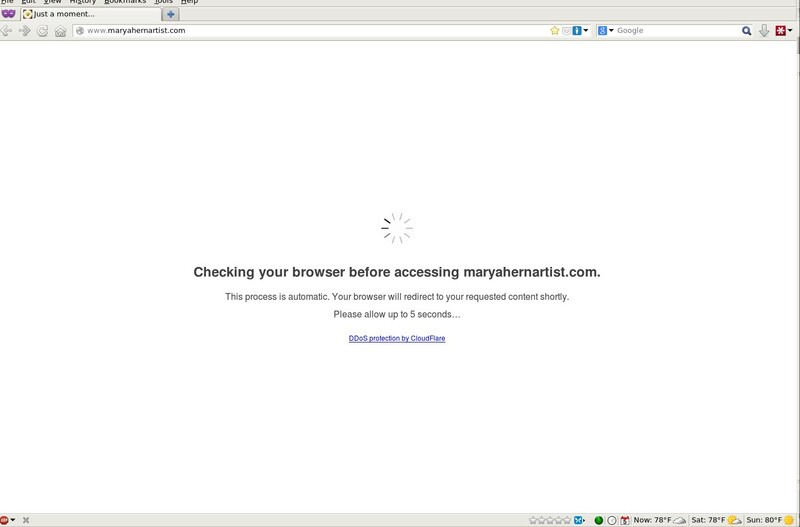 I would also suspect that most casual web users would see this and bypass it and go somewhere else. My facebook friends were warned that there was a 5 second delay so they were more understanding than the average user. Somehow I stumbled upon a security module for Apache. It is called strangely enough mod_security. It is a snap to install . I used all the filters except the one for sql injection. And then I turned the security setting in cloudflare from “I’m under attack” to “high”. Voilla Now the site “just works.” Oh boy! 1) You can solve at least some DDOS issues for no $$$. So far the solution costs me $.01. Next month it will be $6.00 less than what I originally paid. 2) Shared hosting seems useless for DDOS attacks. I had to change firewall and Apache settings. I don’t see how this would work in a shared environment. 3) You have to monitor your hosting provider to see if they changed their policies for the worse. Apparently mine did.